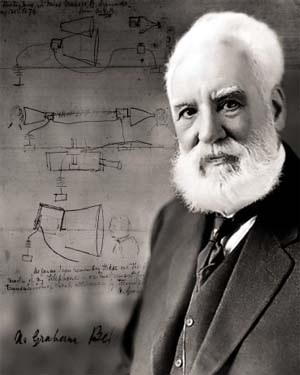 Alexander Graham Bell was born on 3rd March 1847, in Edinburgh, Scotland. His Grandfather and father were teachers of elocution and gave speech therapy, trying to cure such problem as stuttering. His father was immersed in his work with visible speech. He had a dominating personality, and insisted that his three sons should learn visible speech and take part in demonstration of it. Alexander senior had become interested in the problems of ‘deaf mutes’. Alexander’s father was disappointed when his visible speech was not recommended for state school in England. Alexander Graham Bell and his brothers had never been strong. The father immigrated to North America with the hope that, the environment would be healthier. American educators were more welcoming to visible speech. Alexander Graham Bell was teaching at a school for the deaf at London. He wanted an independent life, out of his father’s shadow. He had found someone he wished to marry. However the senior was typical “heavy father”. He never gave up his son independence even for single “penny”. Alexander Graham Bell abandoned his studies, wrote a final sad letter to his girl friend and on July 21, 1870, sailed with his parents for Quebec. In the spring of 1871, the young Alexander Graham Bell moved to Boston in USA and began teaching for “Deaf mutes”. He started independent living and experimenting on the ways of teaching “deaf mutes”. He used vibration techniques in his teaching and became successfully famous. Alexander Graham Bell met Gardiner Green Hubbard a wealthy lawyer and businessman. Of Hubbard’s three children only one, Mabel, survived infancy, and when she was five she became totally deaf as a result of Scarlet fever. 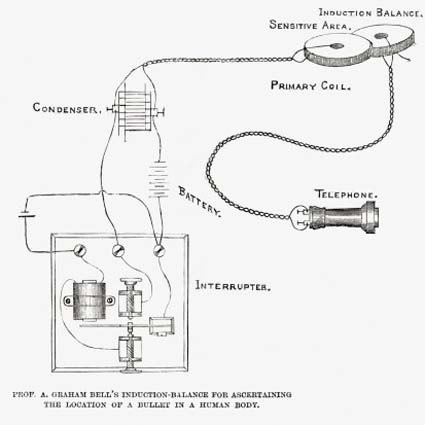 In 1873 Alexander Graham Bell met Mabel Hubbard when she was fifteen. Alexander Graham Bell started teaching her with tremendous success. Alexander Graham Bell enjoyed the hobby of scientific experiments. He started as an amateur interested in telegraphy and other new technology of the time. During his teens, he and a friend had rigged up a wire between their houses over which they exchange messages in codes. He had also experimented with combining what he knew of telegraphy with the understanding of sound. How the human mouth could make so many different sounds. Experimenting with a turning fork held in front of his mouth, he found that the movement of his tongue altered the pitch of the fork. A German Scientist, Hermann Helmholtz had already discovered that electricity could be used to generate sounds of different pitches and values. Bell found that this could be used to help deaf people. Alexander Graham Bell fell in love with his pupil Mabel Hubbard but could not tell her. Mabel’s father agreed to finance Bell’s experiments on harmonic telegraphy provided Bell managed to register to patent it first. Alexander Graham Bell hired a workshop and as assistant Thomas Watson. In the spring of 1875 they had developed harmonic telegraph. Bell was engaged to Mabel in 1875 who was a dumb mute and his pupil also. Alexander Graham Bell being a teacher of deaf mutes thought of coping with the human vocal cord and eardrum for telephone. On March 10, 1876 Mr. Watson was stationed in one room with the receiving instrument, the transmitting instrument was placed in another room and the doors of both rooms were closed. Bell shouted “Mr. Watson Come here, I want to see you”. Mr. Watson heard in the other room and came to Alexander Bell. Now Bell wanted to work on telephone project also. Hubbard reluctantly allowed financing it. Bell and Watson both over worked dangerously close to nervous exhaustion. Bell and Watson made a patent application of harmonic telegraph which was taken to Washington by Hubbard and got through successfully. In 1877, July Bell Telephone Co. was founded. Bell married Mabel Hubbard. The Bell couple had two daughters and two sons but their sons could not survive. Bell improved Edison’s phonograph in 1887 with his graph phone, the forerunner of Gramophone. Alexander Graham Bell helped founding of American Association for promotion of teaching of speech to deaf and became its first President .In 1908 Alexander Graham Bell started his experiments with hydrofoils . In 1911 he built a hydrofoil but it broke up in trial. On August, 1922, Alexander Graham Bell died aged seventy five. On January 3, 1923 Mabel Bell died. The modern World can’t imagine surviving and living without the invention of Alexander Graham Bell.